For any enquiry/ assistance for any of our services, you may visit to our office or call/email at the given contact number/ email. Thank you for your interest in Volt Technologies services. 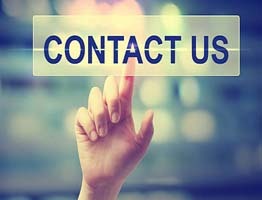 Please send us the below contact form which will help us to serve you better. This information will enable us to route your request to the appropriate person. You should receive a response within 24 hours.Satisfying the client is fundamental to our business and will be the leading factor in our growth. We make ourselves available to our clients 24 x 7 for advising, training, and assistance on all their related services.